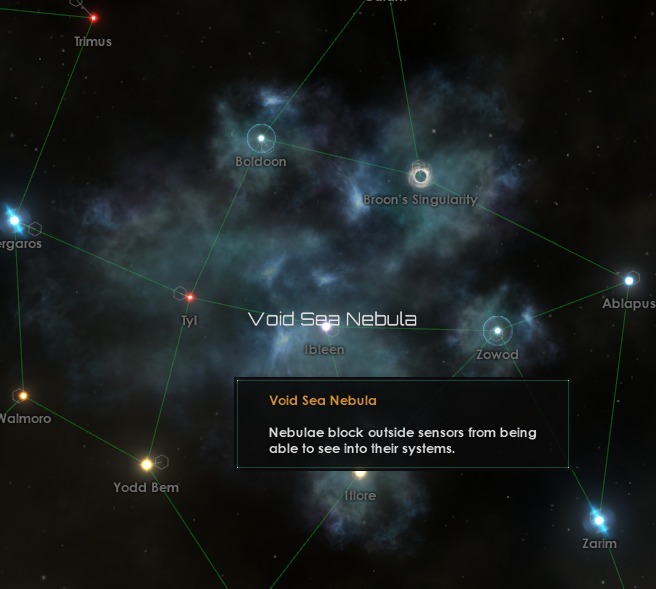 With the (already controversial) Stellaris FTL rework proposed in the 92nd dev diary, I’ve decided to make a comment on the changes here on Odin Gaming. This will be the first of a series of dev diary opinions! You can see them all here. I’ve read every Stellaris dev diary that Paradox have published. I’ve pretty much exclusively found myself giddy with excitement at what the team were putting forwards. Post 1.8, though, I’ve found myself more discerning of the content I’ve been reading. I’ve got more time in the game, have spent time getting to used to certain mechanisms (and coming to love them), and might be more resistant to change than I would have been in the past. Stellaris has it’s flaws, for sure. I’m not against making changes to address them, as long as nothing detracts from the game’s core. I’ve said on a number of occasions that one of the big draws to Stellaris for me is its ability to pique the imagination. There’s no other strategy game like it, in that regard. We knew the Stellaris FTL rework was coming eventually. Did we think it would be this way? Perhaps not. Warp and wormholes are being ditched for a stronger focus on hyperlanes. Some static objects will be scattered throughout the galaxy – including wormholes and “gateways” – that will allow faster travel with the appropriate technology. Jump and Psi Drives will remain “warp like” but with negative modifiers to suit the strategic advantage they confer. Celestial objects will also represent “galactic terrain”, influencing movement about the galaxy in a significant way. For example, black holes will increase the time to make an FTL jump. The hope of the development team is for a more engaging form of galactic war. I have mixed feelings about the Stellaris FTL rework. On the one hand, I’m glad the devs are making bold moves to address a lacking game area. (Along with the starbase changes outlined in DD#91, it’s clear they’re going hard at warfare changes.) They’ve paid attention to the players that have spoken of their love of a “hyperlanes-only” game. However, they’ve perhaps sidelined those that were quietly happy of their ability to choose. Wiz particularly captured my attention when he spoke of “warfare with a distinct sense of ‘theatres’, advancing/retreating fronts and border skirmishes”. On the other hand, he teased me horribly in the lead-up to his justification for taking warp and wormholes out of the game. Wiz spoke of FTL inhibitors and interdictors as potential solutions to the lack of a hard/defensible military border against the different forms of FTL. I’ve felt these are concepts that Stellaris has been sorely missing since the beginning. So close was their realisation that I can’t help but be disappointed that they’ve come and gone in a few choice paragraphs. 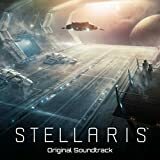 The game that I’ve always held Stellaris up against in comparison is Distant Worlds . I’ve still not come down on which I feel is superior, but I’ve undoubtedly enjoyed the military experience in the latter more. A space battle in Distant Worlds: Universe with an FTL inhibitor fitted to ships. Distant Worlds allowed extensive use of FTL inhibitors and interdictors. Granted, DW only had to deal with “warp-like” travel, but the ability to pull your enemies out of warp and engage them was extremely rewarding. DW went the extra distance and allowed construction of space stations in deep-space; that is, the space between star systems. In this manner, it was entirely possible (though fairly expensive) to maintain a wall of stations with overlapping interdictor influences on a troublesome neighbour’s border. Said neighbours would have two choices to to engage you: go around, or try to go through. If your stations were bristling with defences, this might give you enough time to warp in your own fleet for defensive manoeuvres. I do think the talented team behind Stellaris would have found a suitable implementation for FTL interdiction. It seems a bit of a cop-out to dodge it by blaming the player’s ability situational awareness. 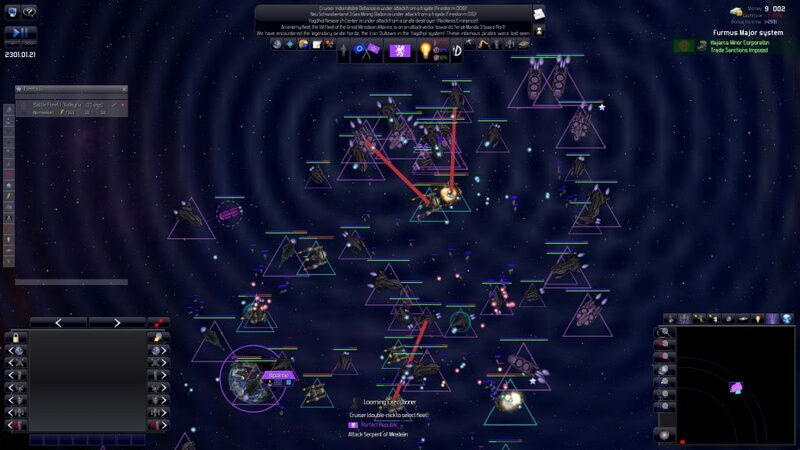 Finally, add the problem of displaying all these different types of inhibitors and interdictors on the map, in a way that the player can even remotely start to understand, and you end up with nothing short of a complete mess, where it’s far better to just have static defenses protecting single valuable systems. Taking away two types of starting FTL also takes away an important role playing aspect. Not every civilisation would reach the stars in the same way. This change is limiting the scope for our own story telling. Galactic terrain; having the wonders of the universe playing a more important role in galactic events is fine by me. Addressing the tight link between FTL types and war and recognising that it’s currently broken. Sublight travel and taking steps to move engagements into the centre of a star system. But I think the team has missed a trick with this implementation of the Stellaris FTL rework. That said, perhaps it will make more sense with changes yet-to-be-announced. What about you? Strong opinions about the announcement? Leave a comment below and subscribe if you want to hear more about Stellaris updates in the future. 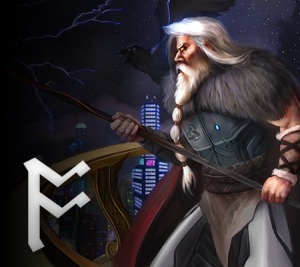 Also consider checking out more Stellaris posts on Odin Gaming! This rework is horrible all the way around. No matter what they may have planned, it removes a major aspect I liked about the game and was a factor in why I chose to purchase. In one swift move they have taken a game I liked a lot and made it into one I’m not sure I’d have purchased to begin with, yet is well beyond the refund time. Removing choice is never a good idea no matter the reasoning. I feel a lot of what you're saying, and I, too, was sceptical about the changes. But I think they're for the better. I imagine the alternative FTL types will be modded in before long. Failing that, you can always opt into the 1.9 branch on Steam to continue playing in the original manner!